Some of us can still recall times when online dating was limited to websites such as Match.com and OkCupid. In fact, these portals can be traced as far back as 1995. The majority of users were still becoming accustomed to the "lightning-fast" speeds associated with dial-up connections and uploading a single image proved to represent a lengthy process. Times have indeed changed. Not only are there literally thousands of online dating portals in existence, but some media channels are now solely devoted to this concept. Have you been wondering how you can create a YouTube profile that caters to the dating community? Let us take a look at how to begin as well as what subjects can be included in your video feed. 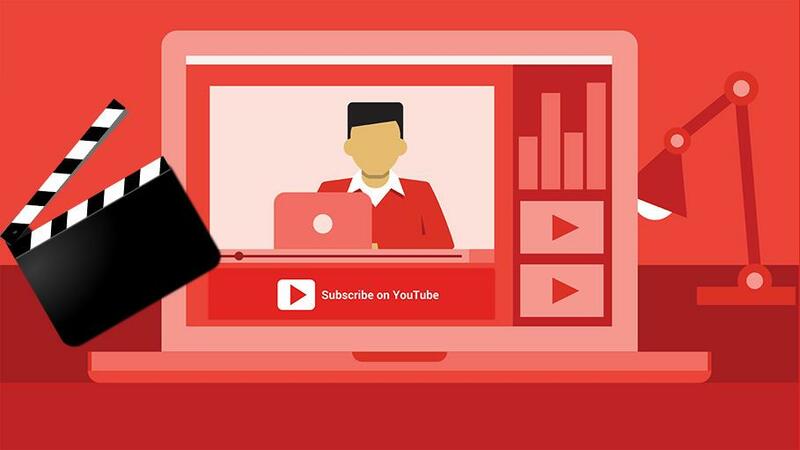 The mechanics behind building a YouTube channel from scratch are rather straightforward, so we will instead focus on how you can enjoy a substantial online following within a relatively short period. How to get past politics on the first date. Determining a quality romance-oriented website. Creating a lasting impression from the very beginning. You might have noticed that these topics are all considered to represent "evergreen" content. In other words, the material will be just as valuable a year from now as it is today. Timeless content will always attract views, so it is a good idea to find subjects that will appeal now and well into the future. Another issue involves engaging with your visitors and viewers. After all, the ultimate goal should be to obtain as large of an audience as possible. This will be partially achieved by regularly contributing to the comments section if an interesting question or subject happens to arise. On a final note, try to post a video every few days. Channels with fresh content are always associated with a more significant number of inbound hits. In turn, this will help your feed rank higher within the YouTube search parameters. Healthy rankings equate to more visitors, and you might even find that a video has gone viral! The digital sky is the limit. Which Topics Should be Addressed? This is a slightly tricky subject, as the concept of dating has always been associated with personal viewpoints. Once again, the most captivating content will often breach topics that might be avoided by more "tame" channels. However, there is a caveat that should be mentioned from the very beginning. Offensive material might very well receive hits and shares, but not always for the best reasons (think about the Twitter feed of Donald Trump as an example). Try to maintain a delicate balance between "edgy" material and that which actually causes a furore within the comments section. If you are unsure how to discover this happy medium, take a look at similar dating-related YouTube channels. It is likely that you will find additional insight and inspiration. Are there any topics which should always be avoided? This is another sticky question, as some users will claim that nothing should be barred from social media channels such as YouTube. The main problem here is that you might be forced to censor the material. This essentially signifies that the video (or videos) cannot be viewed unless users confirm that they are at least 18 years old. Once again, this will depend upon your demographic and if you are willing to sacrifice the younger viewing base. As a general rule of thumb, try to keep the majority of material relevant to seasonal interests. Gift ideas for significant others around the Christmas Season. Black Friday shopping suggestions for couples. Where to go for the perfect romantic holiday during the summer months. At first glance, these might all appear to represent time-sensitive subjects (violating the evergreen suggestion mentioned earlier within the article). However, these very same posts are likely to receive inbound hits and shares every year. You should always make it a point to take an in-depth look at the YouTube community guidelines if you hope to avoid any content issues in the future. Still, some of the most "white-hot" dating channels are those who are not afraid to push the envelope a bit. Look for inspiration in others and try to remember that fresh material is that which will attract the most significant number of followers; the ultimate key to success.